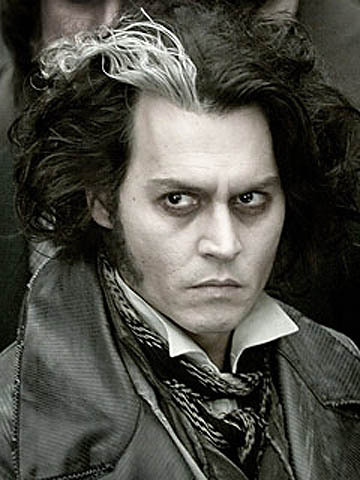 Johnny Depp as Tim Burton and Stephen Sondheim's Sweeney Todd. 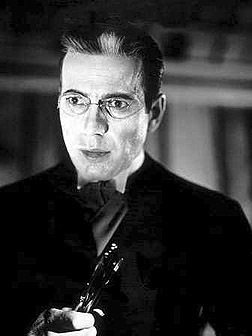 Humphrey Bogart in "The Return of Dr. X" looks more like Edward Scissorhands to me. It's the lips. 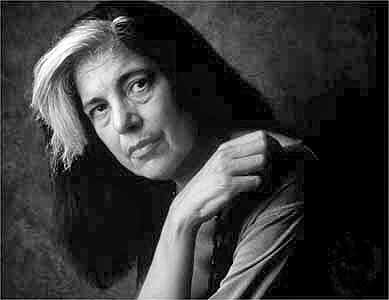 The late Susan Sontag, The Demonized Intellectual of 9/11. 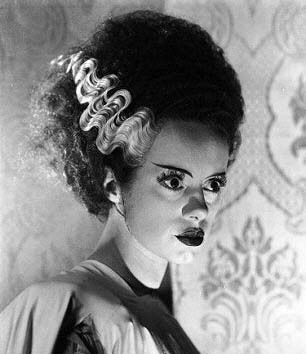 Elsa Lanchester is "Bride of Frankenstein" in James Whale's 1935 sequel. Not to be mistaken for Bride of Leibovitz, above. 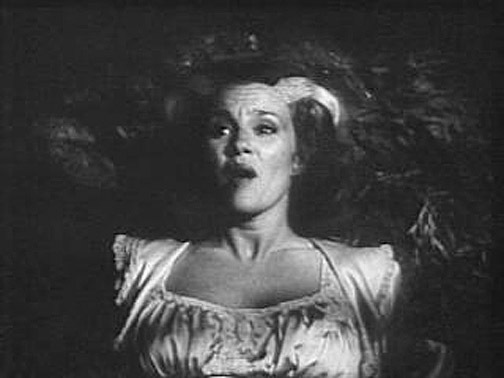 And then there's this one, Madeline Kahn as the Bride of the Monster in Mel Brooks' "Young Frankenstein." Somebody in NY should check it out. It's a Broadway musical, after all.